WONDERFUL 3 BEDROOM, 2 BATHROOM HOME WITH BRAND NEW 2018 ROOF ON ALMOST 5 ACRES LOCATED IN THE HIGHLY SOUGHT AFTER PINE LEVEL NEIGHBORHOOD! The interior boasts an enormous living room and dining room with lots of bright, natural light, 2 spacious guest bedrooms with walk in closets, a full pristine guest bathroom with tub/shower combo, a master suite fit for a king with a spa-like ensuite which features a garden tub. The floors of the living, dining and bedrooms are lined with brand new, soft carpet. The galley kitchen is roomy with plenty of cabinet space, a breakfast bar and a full closet pantry. 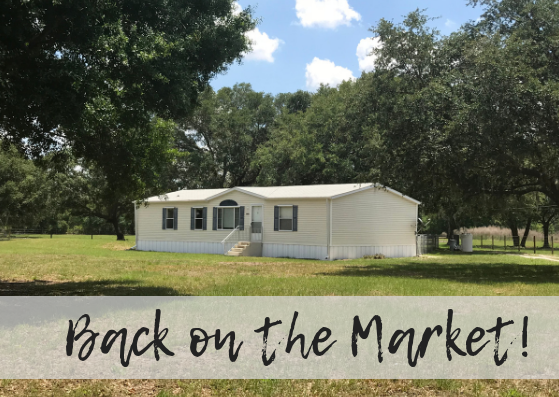 The exterior of the property features a nice pond, a gated entrance, new fencing and cross fencing, and a lovely covered back porch perfect for entertaining. Get away from the hustle and bustle of city life and enjoy all that the country life can offer. This home is ready for it's new owners. Book your private showing today before this home is "under contract."